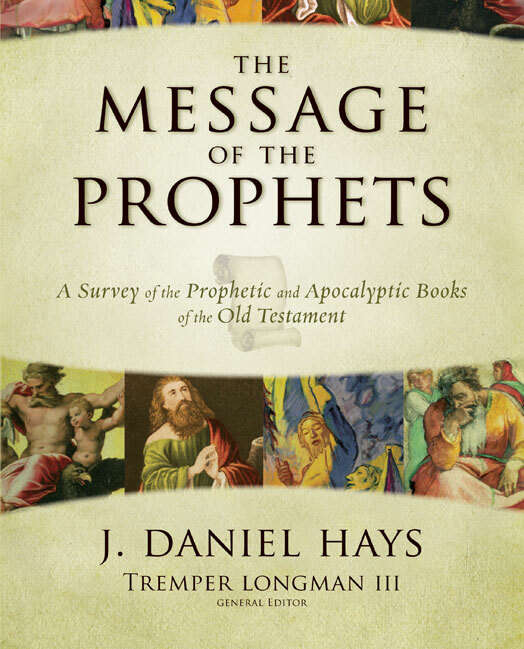 The following statement by Daniel Hayes is really important for beginning students of the Prophets to understand. I have found that sometimes students are unfamiliar with literary anthologies so I will use examples from movies or music compilations. "The prophetic books are not essays organized around propositional statements and logical sequential argumentation. Neither are they stories driven by sequential time, action, and plot. While they are organized and logical, and while they do reflect plot (in the broadest sense), most of the prophetic books can probably best be categorized as anthologies. That is, most of the prophetic books are collections of material—oracles, sermons, dialogues, and short narrative episodes. In this sense they are similar in some regards to a modern anthology of a poet's life: poems, letters, stories, and so forth. Sometimes broad thematic unity is present, and occasionally a few short sections will be combined chronologically. Likewise, catchwords or "theme-words" will occasionally connect sections." I suspect that, in most cases, this is untrue. It certainly is the easy way out, freeing us from the need to understand how the pieces relate to one another. Our inability to understand may reflect our intellectual inferiority to the ancients. I believe that great harm has been done by many who deny context in interpreting prophecies (and then using that as the basis for claiming the NT writers abused the OT). You make a valid point Todd. But I still think that Hayes is correct. 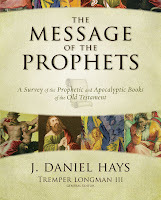 He is not denying that there is not a broader storyline ("they do reflect plot [in the broadest sense]"), but that what we usually have is not one message given in one sitting with a simple beginning, middle, and end, but rather an inspired prophet who proclaimed prophetic oracles over months and in most cases years in different historical circumstances. And, in the providence of God and as part of the process of inspiration these separate oracles became part of a larger whole or book. Since I believe that the collection and arrangement of these articles are an extension of divine inspiration, the arrangement and sequence of the separate oracles is not haphazard but rather very significant. From an interpretive standpoint, the acknowledgment of this phenomena allows the interpreter to read the oracles in some sense as they were given, i.e. separate from the rest of the book and then having done so read the same oracle within the broader context of the book in which it sheds light on other oracles and other oracles shed light on it. So I don't think that Hays is denying reading the need to read in context and I certainly am not. But, I would suggest that part of reading a given Prophet in context may actually involve trying to read an oracle in the context it was first given and then to read the oracle in light of its second context as part of the larger book. In some ways, it is like reading a psalm. One tries to read a psalm in its own right (original context) and then to see how that psalm contributes to the book it is placed (this would include the book it is in [e.g., 1-41; 42-72; etc.] and the larger book that contains all five books of 150 psalms). I would acknowledge that there is a potential misuse of the anthology view, but the misuse of a view does no necessarily undermine the merits of the view itself. Charles - thanks for the reply. Your Psalms comparison is helpful, as I believe the Psalms are an anthology. Thus one must read at two levels - the psalm itself as written by the author and then its significance given its placement by the prophetic compiler. But I reject such a scenario for most of the prophets. I do not see evidence for reading Isaiah (for example) on two levels. It is not clear in most of the book that there was a separate "original" setting distinct from its setting in the book. And even in those cases where there was a historical event (e.g., Isa 7-8), one is distinguishing not between two levels in the text but rather between a historical event and a single textual layer. Of course, what I am saying cuts against the grain of modern scholarship, but I just do not find that the atomizing approach is at all helpful or supported by the evidence. Isaiah wrote a book; that is all we have. Suggestions that they existed as independent oracles at any point in time are entirely speculative. Isaiah did not write oracles, he wrote a book. He did not write oracles that his disciples creatively arranged. The brilliance of the book is not only in the powerful sentences but in its cohesive message. Treating it as an anthology compiled by another not only reduces the book's value but it denies the evidence of a carefully crafted unity. This may be a good topic for our next breakfast! Thanks Todd for the continuing dialogue. While you refer to Isaiah, I would point to Jeremiah, Ezekiel, Habakkuk, Haggai, Zechariah, and Daniel (I know of course that it is nor included as a prophet by in the Hebrew arrangement) as books that seem to clearly show that these books consist of oracles given at different times. Jeremiah is an interesting case in point because its oracles do not appear in chronological order. I happen to think that this dischronolization is deliberate. Having said that, I am not sure I see redaction as negatively as you do. Furthermore, I think it quite possible that the human authors of the oracles may have had a hand in arranging their own oracles in at least some cases. In any case, I am not sure that the idea of anthology necessarily diminishes the value of a work, nor does it necessarily undermine unity. Although I would be the first to acknowledge some differences, the Gospels themselves can be seen in a sense as anthologies of the Lord's life and teachings. The fact that Jesus did not directly write these books which contain His teachings does not diminish their value or unity. By the way, breakfast sounds great regardless of what we talk about.